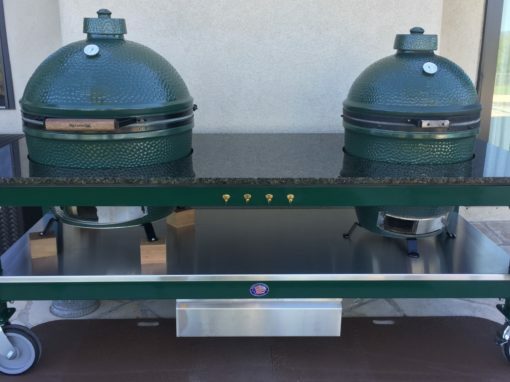 Custom tables for Kamado-style cookers. Proudly made in the U.S.A. 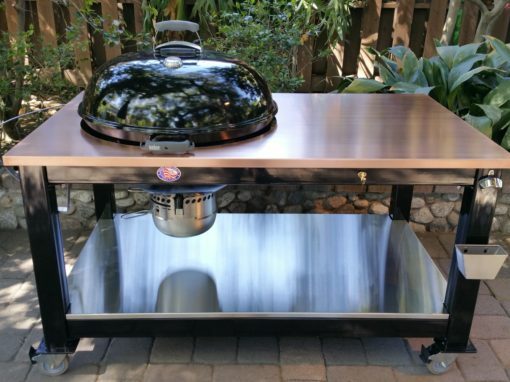 Designed to house a XL BGE or Kamado “Big Joe” this table is built with a 316 Stainless Steel top and matching lower shelf. Each table is built to your exact specifications. This one shown with a Copper Surface! 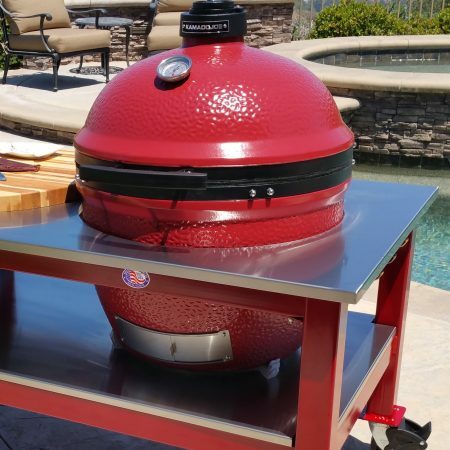 Built to take on the road, this table will house a BGE Minimax or mini Kamado Joe and is available for a medium to large size Kamado Style Cooker! 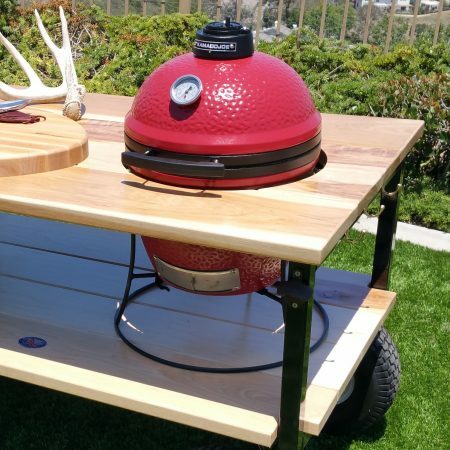 Functional and Portable Custom Tables for Kamado style cookers. Proudly made in the U.S.A. Here are just a few of our options available! Don’t take it from us — see what our customers have to say! I love my table! Just want everyone to know the communication went so smoothly. We may have been hundreds of miles apart — California to Southern Ohio — but I I always felt well informed. The table was delivered exactly the day I was told. 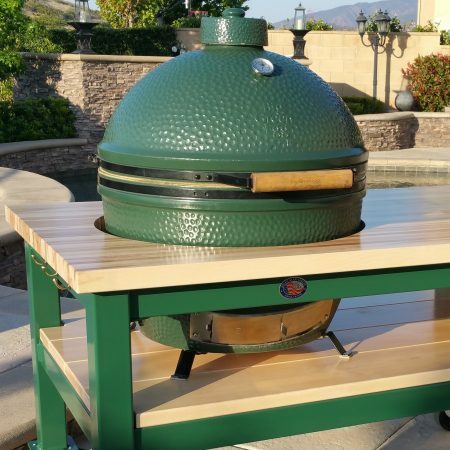 The quality and craftsmanship is great! 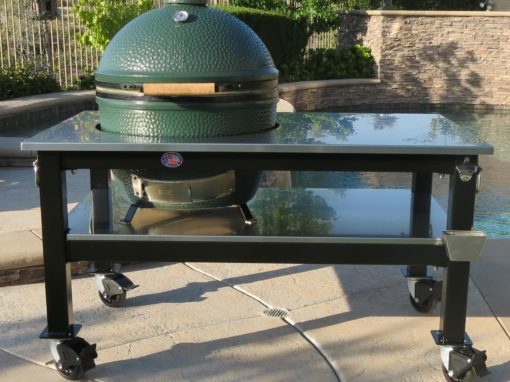 It was exactly what I expected, and the granite is a very good quality piece. The colors are remarkable. My husband, of course, loves the bottle opener! Thanks from a very happy customer! 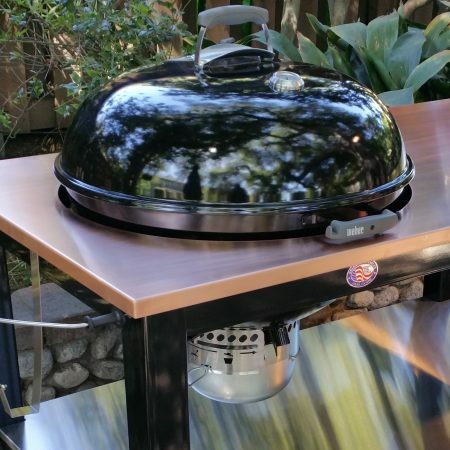 Brian Alan Tables built a custom BBQ table for our Weber grill and we’re so pleased! This is a great looking table, with a solid granite top and Brazilian wood shelf. 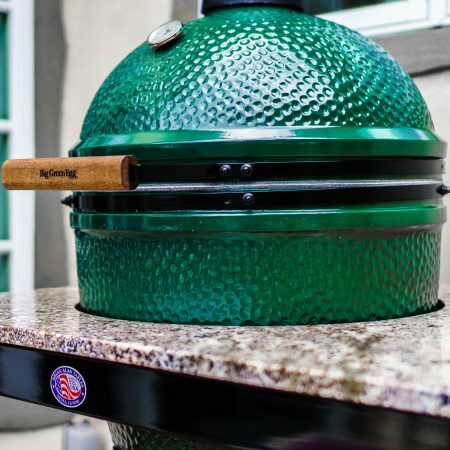 I really love the add-on Weber lid holder as well. I’m a very happy customer! 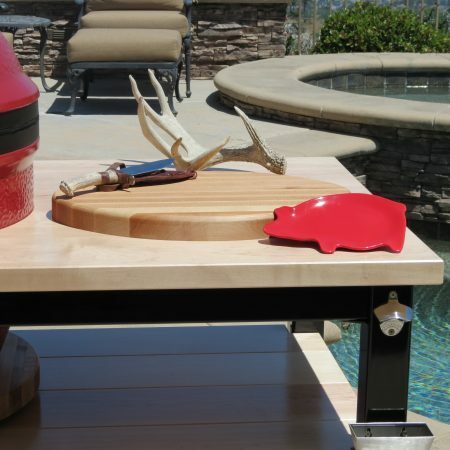 Brian’s tables are unlike anything I’ve seen on the market. You just can’t find this level of quality anywhere else. 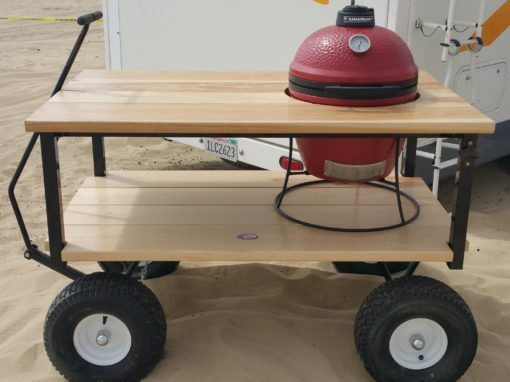 Spend the extra money and get this table. You’ll be the envy of your neighborhood!